Seeing graffiti on your property is never a lovely sight to behold. It is usually ugly, frustrating, and disheartening to know that someone vandalized your property on purpose. Other than calling the police and filing a report, you need to investigate the best way to remove the graffiti from the surface of your building. The best way to perform exterior cleaning is by power washing the area. In this short guide, you will be informed of the top four tips for removing graffiti with a power washer. The material that was used to mark your building or other property can vary. Usually, it is spray paint, but different mediums can be used to graffiti property. No matter what the medium for the marking, make sure to have it removed immediately. Not only does the graffiti look and feel ugly, but also if it is left to set in, it can damage your brick and stucco surfaces to the point they can need serious remodeling. By leaving it for any length of time, you have more of a chance of having more graffiti occur as well as your property values will be lowered due to the state of the building. Another critical point you want to be aware of when removing graffiti is to use hot water when performing the exterior cleaning. 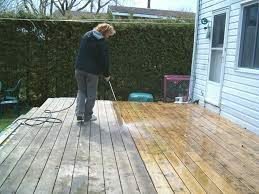 A hot water pressure washer can be used on the stain and efficiently remove the writing if you act fast. You may not even need chemicals to assist you in the removal if you get to it quick enough! Just like the urgency to fix the HVAC system on a 98-degree day, you want that same urgency when attacking graffiti. If there is a broad expanse of graffiti or if the graffiti was performed and was not noticed immediately, you may need to use chemicals on the stain to remove it. This entails more than just plain old soap and water. A removal agent will be required, and this can include chemicals such as denatured alcohol, turpentine, acetone, and many others. Just as painting removal needs compounds, so does graffiti removal. Your surface will look beautiful again once exterior cleaning has been completed. The longer the graffiti stays on your building or property, the more chance it has to soak in and destroy your property. It also makes it more difficult to remove. 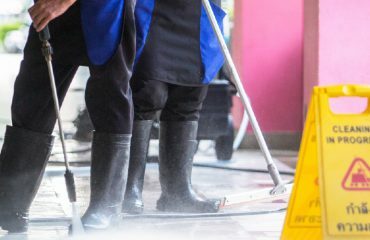 If you do not have the knowledge to operate a power washer or if you do not have the time, call a professional exterior cleaning company to have the stain removed immediately. This gives you and your property the best chance to move on without damage. As you can see, there are ways to remove the unsightly damage that was caused to your property. The best way to remove graffiti is to remove the marks as soon as you can so they do not set in and stain the surface. To do this, you need to use hot water, utilize chemicals, and start with low pressure, gently increasing the pressure to a high setting once you get a feel for how the writing is disappearing. 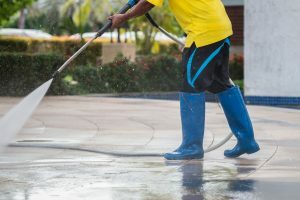 Lastly, if you do not feel comfortable or do not have the time to remove the graffiti yourself, call in a local handyman or a professional power washing team to perform the exterior cleaning for you as it is time sensitive. If you follow our advice on the top four tips for removing graffiti with a power washer, your building will be back to brand new once again!